We all enjoy a little luxury, especially at an affordable price. 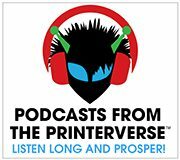 Ashley Maydak, Brand Marketing Manager at Domtar Paper, explains in this Podcast from the Printerverse episode why there’s no reason it should be confined to the likes of spa vouchers and not apply to the paper we use in our print projects. As Ashley says, paper plays a major part in elevating printed pieces, and she sets out six ways luxury in print can be achieved through paper (without blowing your budget). Ashley says we should be rethinking the ‘design first, choose paper later’ approach. Think about your paper of at the beginning of a project and involve your print as early as possible in the process, to make sure the desired outcome is achieved. Work with your designers and let them know your goals for your product, so you can get the result you’re looking for. Domtar offers a variety of heavyweight papers, and encourages customers to consider using this to help your products stand out. 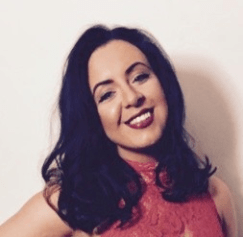 ‘Think about when you’re at a networking event and someone hands you a business card on a heavyweight paper – you automatically assume that person or business is important, as it just has more of a presence’. The image selection process is so important when deciding how best to convey your message, but it’s also important to choose a paper that aligns with your messaging. Ashley suggests the right images with the right type of paper can bolster authenticity and bring about an extra level of trust. It can go the other way, too; the wrong type of paper can change your image in a negative way, so make sure you’re taking the whole product into consideration during the process. Ashley warns against failing to consider post-press techniques when designing your products, and sees people with the budget viewing methods like die-cutting, embossing and foiling as more of an afterthought, rather than a way of taking your product to the next level. She explains that paper companies are amazing resources for information on all facets of improving your printed products – the Domtar website is home to a wealth of information. As already covered, the type of paper you use can play a major part in your print product standing out from the crowd, and as Ashley points out, print stands out anyway, just look at some of the incredible examples of direct mail around showcasing great post-press techniques. But have you considered using a different size of paper as a way of attracting attention? Ashley has noticed the trend towards more and more digital pieces being created using Domtar paper. She is looking forward to seeing more people taking advantage of the tremendous opportunities and creative options that digital offers, and definitely believes that we will continue to see a lot more high-end work being created using digital techniques to ‘make print even more exciting’.